Just in time for Fall! Are you a fan of pumpkin spice? 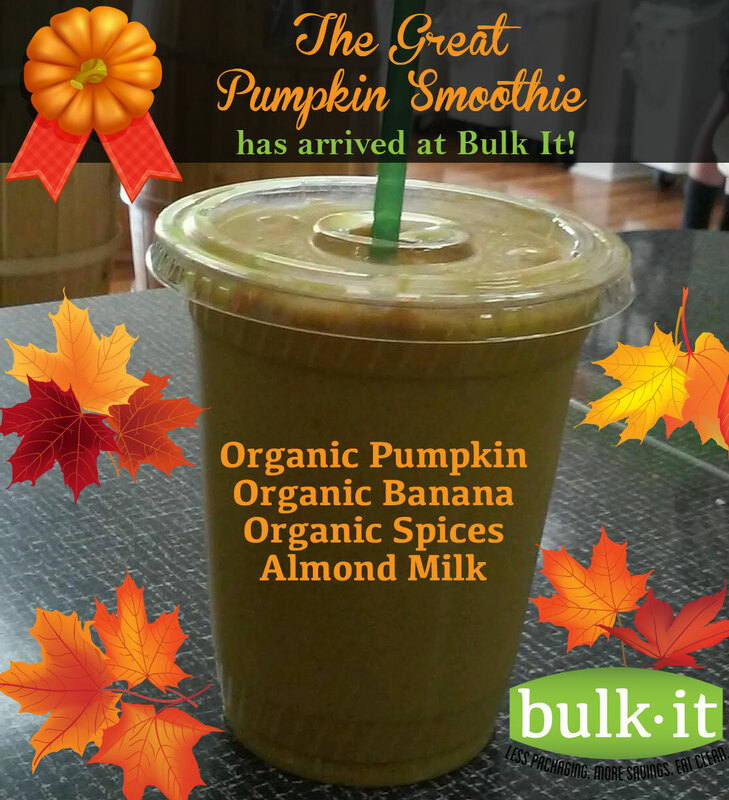 The Great Pumpkin Smoothie has arrived at Bulk It! We have created the healthiest version of a pumpkin smoothie possible: Organic Pumpkin, Organic Banana, Organic Spices and Almond Milk. A whole lot of deliciousness! You can call ahead to 913-955-2855 and we will have your smoothie ready for you when you get here or stop in and chat with us while you enjoy!